Neuromas are benign intracranial tumors with indolent natural history. Surgery is the mainstay of treatment and only after the introduction of single-fraction stereotactic radiosurgery (SRS), radiotherapy emerged as an alternative viable option. In this review, we focused on SRS or conventionally fractionated stereotactic radiotherapeutic (FSRT) approaches. We described the results of different doses used for SRS and FSRT, the current status, and a comparison between the two radiotherapy approaches. Stereotactic radiotherapy techniques aim to control tumor growth with minimal toxicity. SRS using either a cobalt unit or a linear accelerator has given high rates of tumor control and of cranial nerve function preservation with marginal doses range of 12–14 Gy. Fractionated stereotactic radiotherapy (FSRT) is optimal for tumors larger than 3 cm. Doses as low as 50.4 Gy provide excellent control rates and low morbidity. 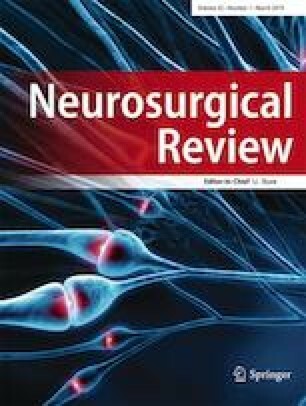 Overall, both SRS and FSRT are equally effective and safe options for neuroma patients who do not need immediate surgical decompression. Not applicable due to the review type of the paper.